"The Sustainable Development Goals are a call for action by all countries – poor, rich and middle-income – to promote prosperity while protecting the planet. They recognize that ending poverty must go hand-in-hand with strategies that build economic growth and addresses a range of social needs including education, health, social protection, and job opportunities, while tackling climate change and environmental protection." As a Certified UN-SDG Advocate for local and global implementation, Philippa has pledged to help spread awareness and knowledge about the 17 goals in her community. She has achieved this by creating a UN-SDG ‘Squad’ at the beginning of 2018, a recruitment of a group of concerned and committed citizens who are helping to create a wider impact through action steps. 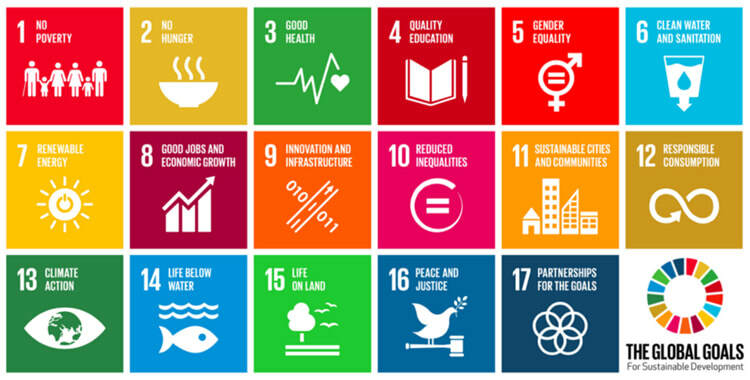 Several public presentations have also been offered by Philippa on the 17 SDGs, what they represent and how they can be implemented in our everyday lives. Contact us today to find out more about the SDGs and how you can get involved to help create a better world, or visit www.un.org/sustainabledevelopment.